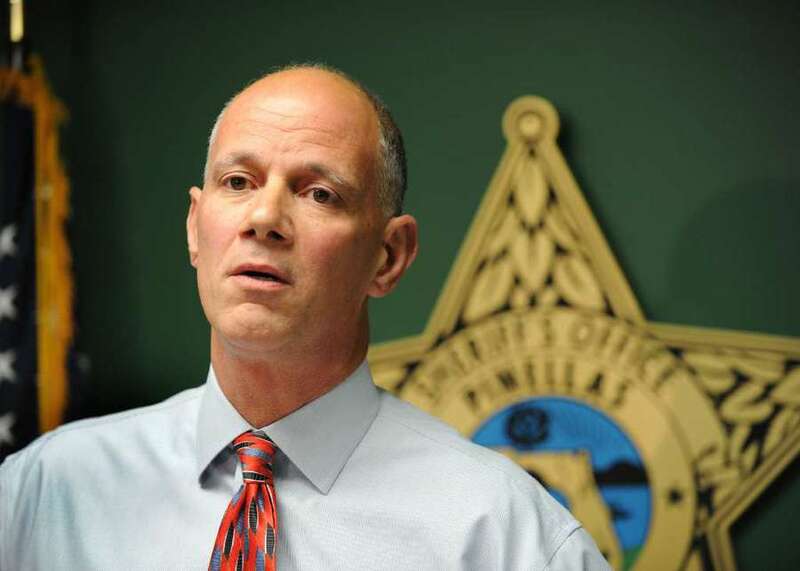 Pinellas County Sheriff Bob Gualtieri said the current funding scheme for campus officers and training for armed school personnel is "not realistic." After the horrific Parkland shooting, the Florida Legislature unanimously agreed it needed to implement more armed campus police officers. But sheriffs are now saying the way the Legislature plans to fund that effort will be hampered by its more controversial program to arm school personnel. The Legislature has set aside $67 million for its program to arm school staff, which was changed Monday so teachers that "exclusively perform classroom duties" (coaches and librarians, for example, still can). Meanwhile, it has set $97 million for armed school resource officers. Pinellas County Sherrif Bob Gualtieri, who sits on the board of the Florida Sheriff's Association, said sheriffs are disgruntled that the two pots of money must remain separate. The money for the armed staff portion is "way too much given the current landscape and what we believe will be the desire in most places for school resource officers to be the primary school safety officer on each campus," he said. "The money in the bill to staff SROs is inadequate." Under the Legislature's plan, school staff would have to undergo 132 hours of firearm training, psychological screening and a physical fitness test to become a sworn officer of the local sheriff's office and carry a gun on campus. According to staff analysis of the House's version of the bill, the $67 million for armed school staff is being set aside with the expectation of "an average of 10 school marshals per school for a total of 36,790." "That's not realistic," Gualtieri said, especially since there are many districts, including Pinellas, who have said they will not opt-in to optional the program to arm school staff. The bill would require an armed officer to be on every public school campus in the state, which sheriffs largely support. But that means that law enforcement agencies could be scrambling to make that a reality without enough funding from the state, "which leaves local districts to cough up the money," Gualtieri said. Law enforcement has said that an average school resource officer costs about $100,000, including salary and benefits. There are around 4,000 public schools in Florida, which means one school resource officer for every campus would cost about $400 million in total. The current money for school officers, called Safe Schools funding, is less than $100 million. An amendment proposed by Sen. Bill Montford, D-Tallahassee, that would have allowed flexibility between the two funding sources, was voted down during a rare Saturday floor session this weekend as the Legislature works overtime to finish its Parkland packages. Sen. Bill Galvano, R-Bradenton, has led the Senate's efforts to develop its comprehensive school safety bill in response to the Parkland killing, and said the funds are being kept separate by design. "We're establishing a new program and we want to make sure it's adequately funded," he said. "One of the biggest challenges we've had with Safe School funding since I've been in the Senate is that dollars allocated for … safe schools have ended up other places so we were very specific in the bill to show where we were prioritizing our dollars."